I am a 22 year old girl living in northern Canada, I am a part time/step parent to a beautiful little girl. The oil field industry is huge here, and I am hoping to help negate that in what little way I can, look forward to posts about how to make your life greener and cleaner! Hey guys! I know its been a while since I have posted anything, life has been a little crazy lately with getting laid off from work, finding a new job and buying a house, then breaking up with my boyfriend. Things are a little crazy but starting to get back to normal! Now i’m starting over by living with my sister in our new apartment, and I am about to start my first year of carpentry schooling! Now about the zero waste portion of my life, I haven’t really progressed any further, but I haven’t gone backwards either. I’m still struggling to get rid of some food packaging mainly from things like chips and other snack foods that I don’t have time to try and hand make, as well as specialty items like the occasional tub of sour cream or tofu or something like that. I still continue to buy groceries mainly from the bulk and produce isles whenever possible and am still making about 90% of my own products. Between my sister and myself we only throw out 1 medium sized bag of garbage a week, mainly because we can’t compost in our apartment and the cat litter starts to stink the place up really bad if we leave it to long. Lastly I would like to inform you all of my upcoming idea! I have recently decided to start making my own clothing! all the pieces will be natural fibers and organic. While this isn’t necessarily the most zero waste idea, it will certainly be more Eco friendly! If there is anything I can’t make I will resort to second hand shopping, but I am saying no more to retail stores! So stay tuned in the next few months to a year for some beautiful clothing ideas and pictures! This next portion of my low waste cooking series was yet another recipe I found on pinterest! although the recipe itself wasn’t zero waste, I was able to make it so. Unfortunately I didn’t get any pictures, but it tasted great and looked exactly like the picture in the link above. To make it zero waste, I used fresh tomatoes and cooked them down a bit in a pot before hand with a little extra water. I also had brown lentils from the bulk section and all the spices were from the bulk area as well. The only garbage left was the wrapper from the bouillon cube I had. this week’s grocery haul is probably the closest I have ever come to zero waste! I even had a road trip that I did really well on. the first picture is my main grocery haul, the only trash will be 2 ties from the spinach bundles, the tag from the pineapple and produce stickers. I will be making homemade tortilla chips and naan bread to complete the week. 7 tin cans and 1 glass container of yeast (which will take a while to use) will go into the recycling after use. I will also be using up some stuff already in the pantry, mainly some dried lentils and a can of diced tomatoes. The second picture is the haul from my road trip. 2 energy bars (only because I didn’t know what I might be able to eat at the event being vegan) and a vitamin water and small bag of chips. Besides some uncomplicated fruit an a couple pb and J packets from the breakfast bar, that’s all I created over the weekend! Pretty successful if I do say so myself! My boyfriend is now taking his final course for his electrical apprenticeship! Although he is in a different town, I’m going to make the most of it. I have 3 months to myself, And I am going to really get into the zero waste and try to cut down more if not totally reduce my waste. It will be easier to buy things without packaging since I don’t have to consider anyone else’s wants. Most, if not all, my waste is from food packaging right now. I know that I will have to make switches like tofu for beans (which I can buy from bulk) or make something from scratch instead of buying it pre made. This week, I didn’t do as well as I had hoped, I had the following packages: vegan cream cheese and cheese packs (making homemade spinach dip), as well as the strawberries container, the shrink wrap from the cucumber and three ties from the spinach. The jar from the pickles, paper from the French bread (which can be composted) and lastly the produce stickers! Eventually I would like to make my own pickles, but it isn’t feasible right now. The cream cheese, strawberries and cucumber packs are things that can’t be avoided, but I don’t buy very often anyways. So after (a long overdue) house cleaning, I finally have all my junk and old papers lying around, in order or thrown into the compost. I also took another small load to the Salvation Army. Now I shouldn’t have to throw out anything anything else. So I would say this week so far has been a success! Slowly but surely my piles of random stuff that I no longer need or want is dwindling! 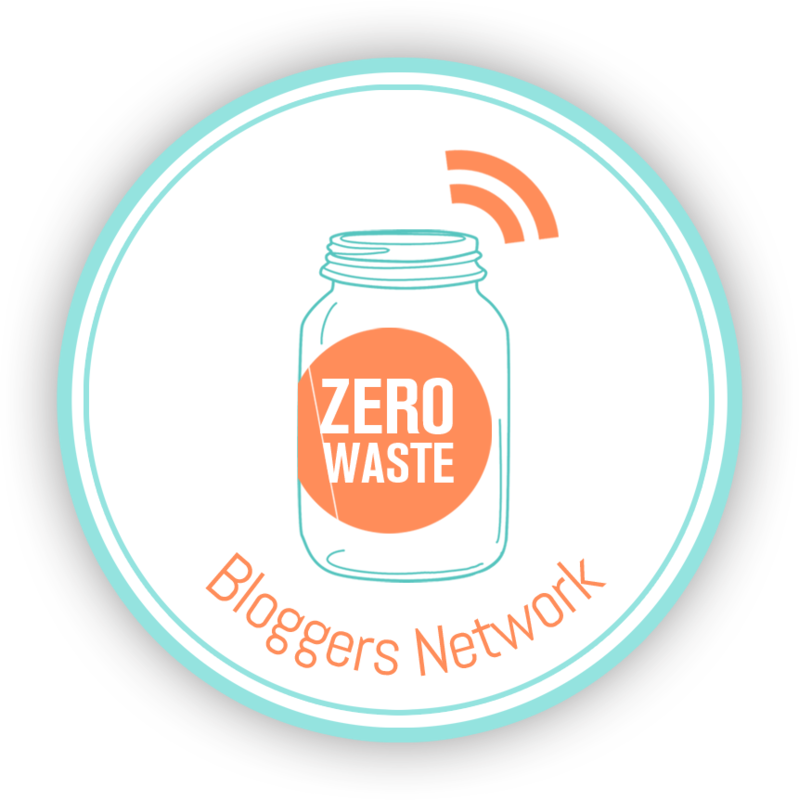 Recently I did a post about zero waste Peanut Butter. I got so many views and good responses, I decided to keep going with other recipes that are zero waste or low waste to create. Introducing: My Low Waste Cooking Series #2: Lasagna Soup! This is my second time cooking this and always with great enthusiasm from the eaters! You could also serve with garlic toast! The Verdict: I came out with 2 pieces of packaging with this one. I had an already opened can of tomato sauce I used in place of the tomato paste. The rest I was able to get unpackaged. I will eventually have a container from the veggie stock and olive oil. The plastic piece is from the Yves meatless crumbles, which I could have gotten rid of by using a can of beans instead, but the boyfriend likes the crumbles. I could have also went a couple steps farther and cooked beans from dried in bulk, and canned my own tomatoes or used fresh ones. All were possible but were too much work or unrealistic for me at the moment. Yum! The (almost) finished project!